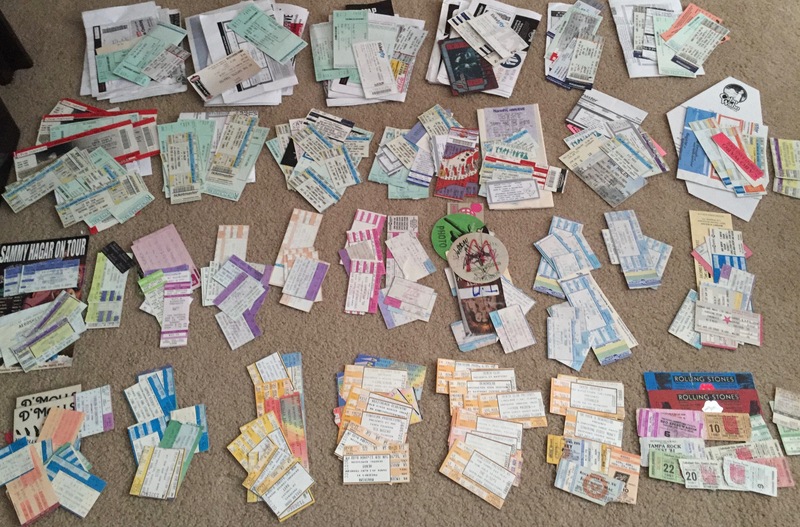 Micheal Bolton, Accept, Helix, Keel, REO Speedwagon, Cheap Trick, Ratt, Bon Jovi, Motley Crue, and Autograph. 1985 appears to have been slow year for arena concerts for me – but as of December ’84 I was old enough to get into the rock bars to see local bands ;o). I recently came across this great rock club website and review of the 49th Street Mining Company, a Tampa Bay area club that featured many great bands and many, many good times in 1985. 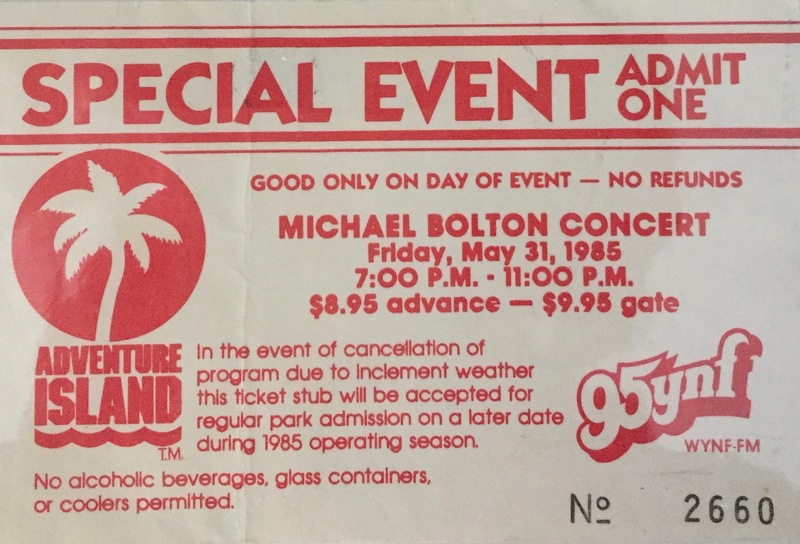 Michael Bolton on 5-31-1985 at Adventure Island in Tampa, Florida. One of the bffs loves Micheal Bolton. Cost $9.95. 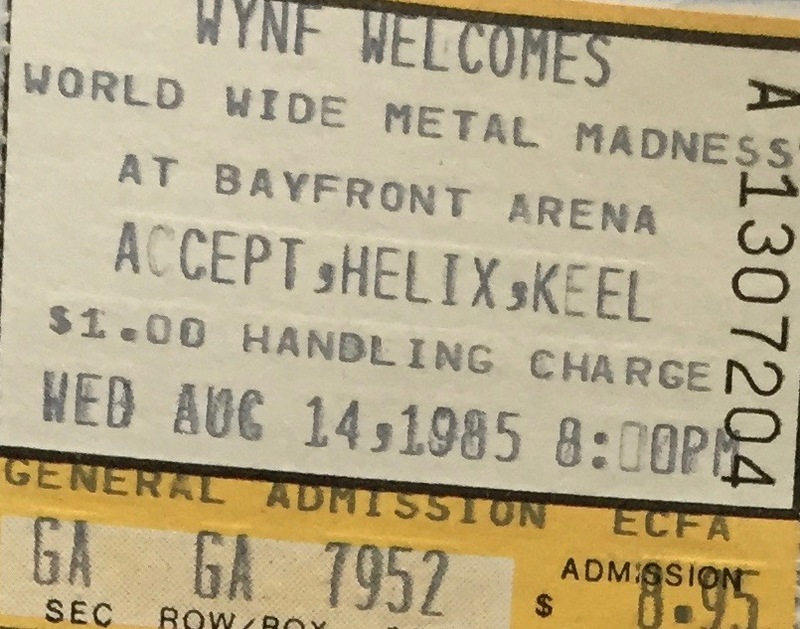 Accept, Helix, and Keel on 8-14-1985 at the Bayfront Center Arena in St. Petersburg, Florida. Cost $9.95. We’re starting to see handling charges with this one…only $1. 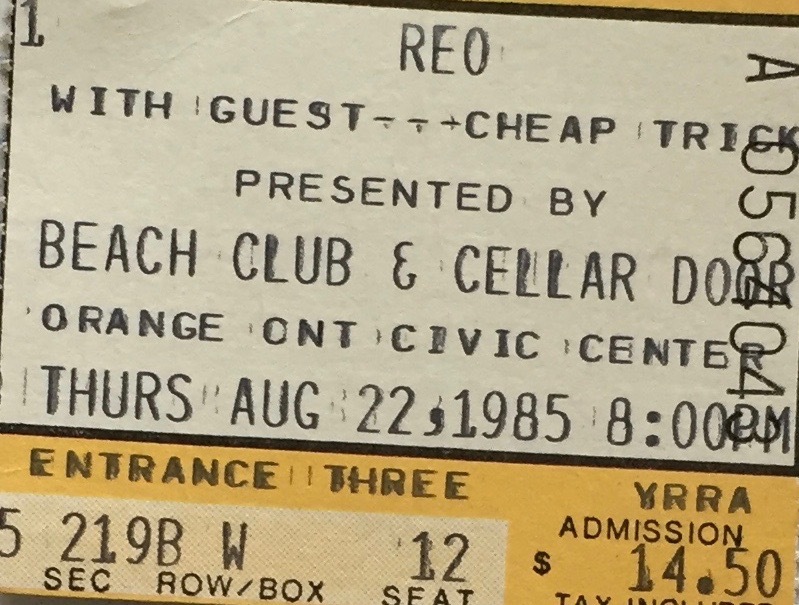 REO Speedwagon and Cheap Trick on 8-22-1985 at the Orange County Civic Center in Orlando, Florida. Cost $14.40. I’m drawing a complete blank on this show – I don’t think I ever went to any other shows at this venue. 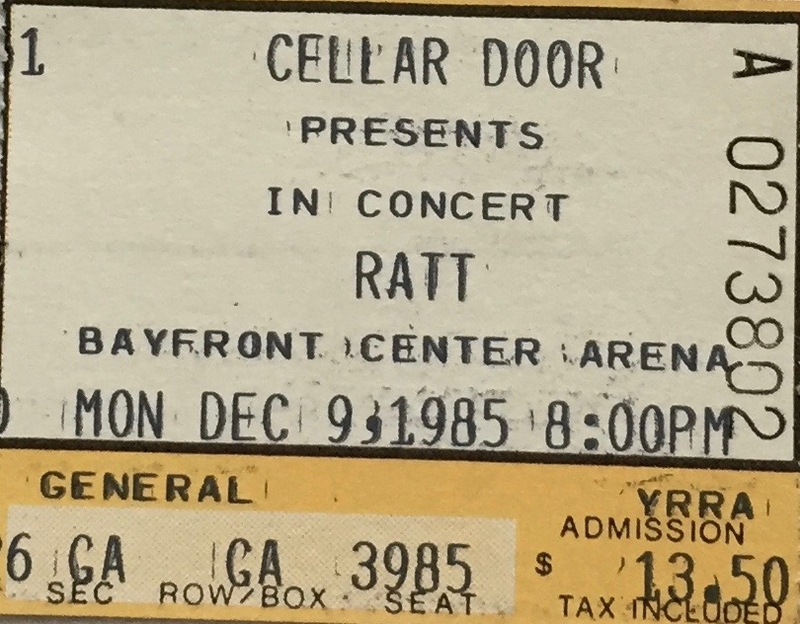 Ratt and Bon Jovi on 12-9-1985 at the Bayfront Center Arena in St. Petersburg, Florida. Cost $13.50. 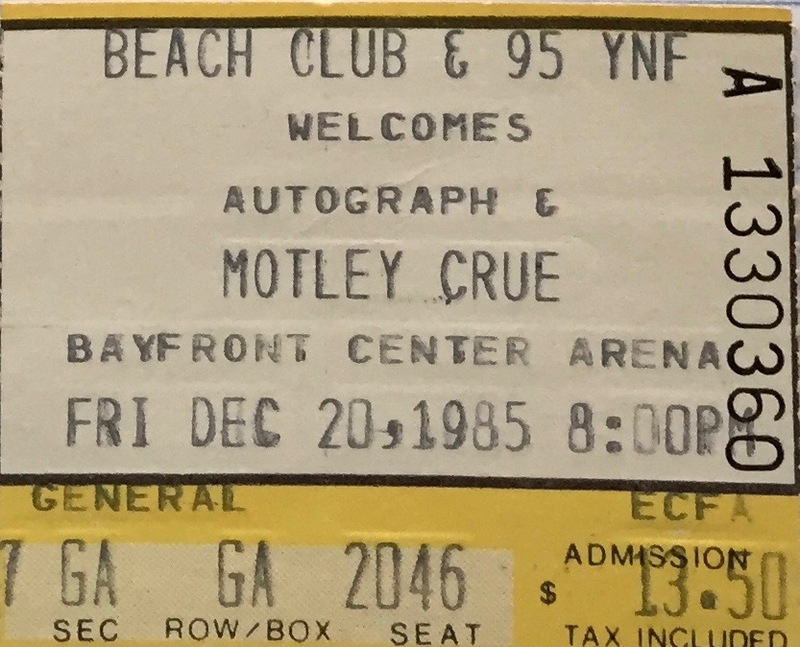 Motley Crue and Autograph on 2-20-1985 at the Bayfront Center Arena in St. Petersburg, Florida. Cost $13.50. Copyright 2016 Rocksandy. All rights reserved.